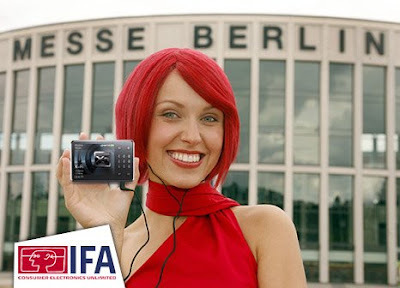 Once again, IFA is here and Creative will exhibit on stand 118 in hall 17 from 29 August til 3 September. This year's theme for the Creative stand will be "Pure Music and Pure Fun". The ZEN X-Fi will lead the Pure Music category with the Aurvana series of earphones while the ZEN Mozaic and Vado will head the Pure Fun section. We will have exclusive photos of Creative's booth at the IFA - world's largest Consumer Electronics trade fair - so do look out for that! Does that mean we are going to see more of those fugly Zen micro photo girls? Pretty sure that happened a few years ago in europe. Fugly meh? I though u like all ah lians lol.